Guitar Making Tip No. 69 is about tapping tonewoods. The practice is fairly mysterious to new guitar makers, because up until now the sound of wood has never been a factor. 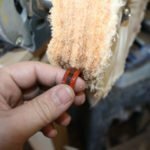 As a new builder, you can start using the tap tone right away to help you. Here is how. You can drive yourself nuts if you really get into tone tapping too early. 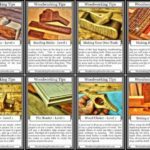 Toning wood is a lot about feeling and past experience. The latter being more difficult for new guitar makers. In the beginning, you don’t have any past experience to draw from. That doesn’t mean you can’t start tapping your boards. What it does mean is that the experience may not be as influential in the beginning. Wood vibrates. Like just about any other solid item. When you hold a piece of wood on the node (which is typically about 1/3 the distance from either end) and strike the other node, the piece vibrates. 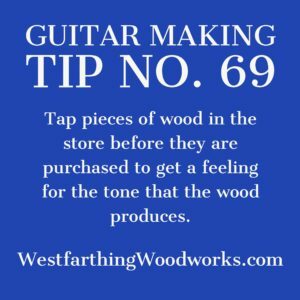 It’s kind of fun to watch the non-instrument makers as you tap tone in the wood store. They don’t know what you are doing most of the time, and they look at you like you are from another planet. They don’t know that you are doing an important part of the process for making an instrument. Pick up a board that you can hold, typically no thicker than 4/4. Using your non-dominant hand, pinch the faces of the board with your thumb and first finger about 1/3 the distance from the top end. Next, position the board so your thumb is facing you, and that your hand is about the same height as your face. Now, using the other thumb, tap the center of the face of the board, about 1/3 from the bottom. If everything went perfectly, you heard the wood make a sound. Almost like a xylophone key but really short. In reality, you probably heard nothing. This is ok. Start moving around your holding hand and your striking hand. Sometimes it takes a couple adjustments to find the nodes and get a good tap tone. You will notice that when you change positions, the sound gets better or worse. Follow the sound as it gets better. Move a little more in the same direction as you did when the sound started to get better. If it gets better still, move in the same direction again. Once it gets worse, move back to your last position. That’s the best you can hear, that’s the tone of the board. 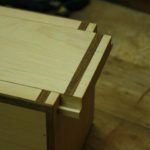 Tapping wood is a sensory experience that can help you add more information about your materials to your tool belt. It’s one more sense. 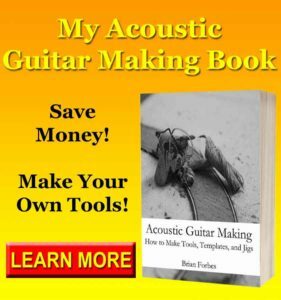 One more way you can decide if a piece of wood is suitable for making into a guitar. 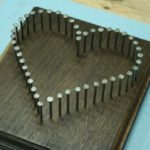 Some pieces of wood are going to ring really clearly and loudly. Most are going to be in the middle, and some will be lifeless. Any time you find a dead board, leave it in the store. This is typically a sign of internal damage or something else that prevents vibration. Either way, you don’t want that board. On the other hand, sometimes you will hear a board that sings much better than others you have heard before. Buy it. That’s typically a rare piece that will make an excellent instrument. Don’t focus on anything more than basic toning in the beginning. 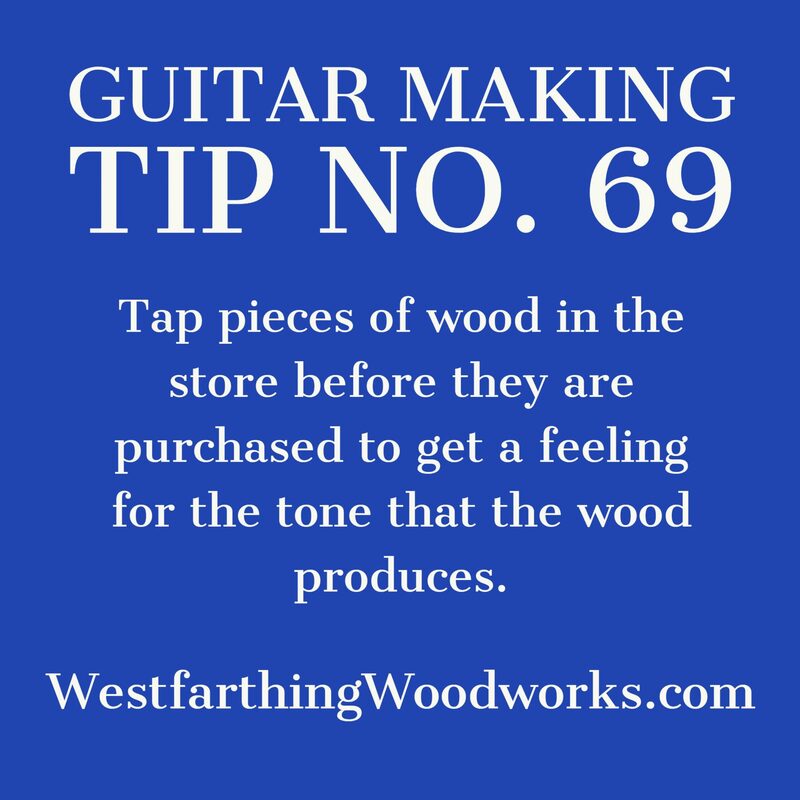 As you develop experience tone tapping wood, you will build a memory bank of the sounds and feelings. When you tap more, you will draw from that resource in making decisions. 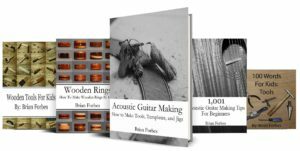 It takes time to develop the memory, so focus on finding pieces that vibrate well in the beginning, and learn the finer points after you have made a few guitars. 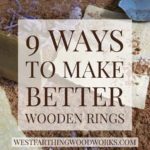 Keep tapping your wood, and teaching yourself about the differences. 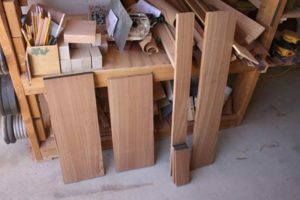 All of this learning will help you down the road as you develop an almost completely emotional way of determining if a piece of wood is suitable for making an instrument.